* How will the children respond to being invited to their first adult focused activity; drawing their self-portrait? * How can we continue to support children in building relationships with adults and peers? 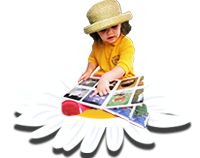 * What are the children showing interest in as they explore the Nursery environment? * Where in the environment are we noticing children counting and using number in their play? * If we introduce tonal colours in the painting area can the children’s interest in colour mixing be explored further? * In the outdoor classroom will the children continue to explore trajectory and movement? Kenilworth Nursery School and Early Years Teaching Centre is committed to safeguarding and promoting the welfare of children and young people and expects all staff and volunteers to share this commitment. Now accepting Applications for September 2019 spaces in our Nursery School and Nurture Nursery. – Ofsted 2016 – Rated as "Outstanding"
Kenilworth Nursery School is an exciting venue where parents and carers of children under five can access high quality education and support with learning and their development. As an EYTC we also offer a variety of extended services which reinforce our ethos and principles to enable you as parents. We are a Nursery School comprising a fee-paying Nurture Nursery for children from two and half years and a State Maintained Nursery School with free education for three to four years old. 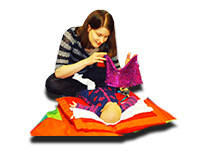 We also offer courses and workshops for parents, training for practitioners and services and activities for families in the community. The Nursery School is a happy, warm, secure and caring school, that aims to provide the highest quality education and care. The enthusiastic, committed staff team provide education and care that makes a difference and provides a positive contribution to children’s learning and early development, working in partnership with parents. We welcome all families with babies and children under 5. 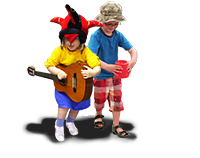 Join us in our specially planned environment to support your child's learning journey. As an EYTC we also provide training to support practitioners and settings in establishing best practice and high quality educational provision.